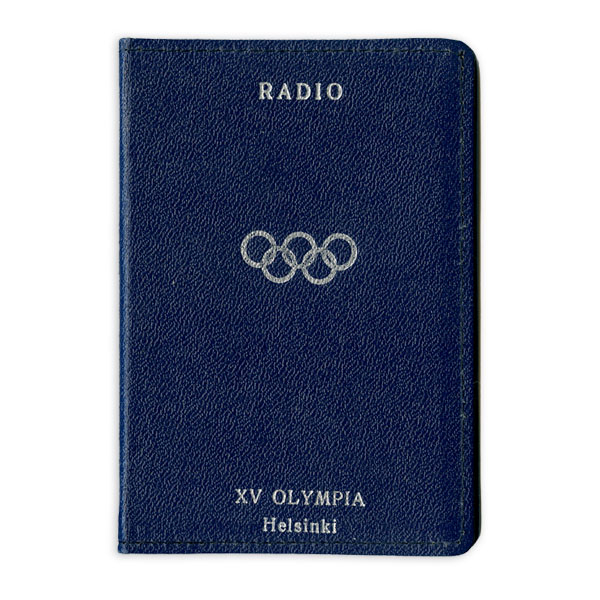 Description: Dark blue covers with the Olympic rings and the texts: RADIO; XV OLYMPIA Helsinki. Inside a yellow identity card, number 2448. Other information: The card belonged to a radio crew assistant.